The website has been updated with the results of the ninth race of the season held at Dan Decosmo’s Taj Ma HO raceway. We had 13 racers in attendance, 8 Pros and 5 Sportsman. This was the first race on Dan’s new MaxTrax Scorpion-ish layout; the track was fast and very smooth and is a great addition to the many tracks we have to race upon here in New England. Our new banner thanks to Durf Hyson! 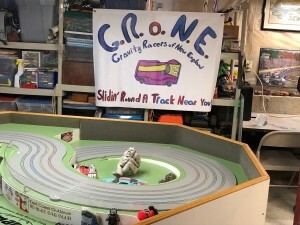 GRoNE – May 4, 2019 – We’ll be at Peter Lentros’ LenJet raceway on Saturday, May 4th. We’ll be running Gravity Cars on the Champion followed by T-Jets on the Tubbie. Our last race will either be another Gravity Race or Mabuchi HT50 cars on the Parma Track. 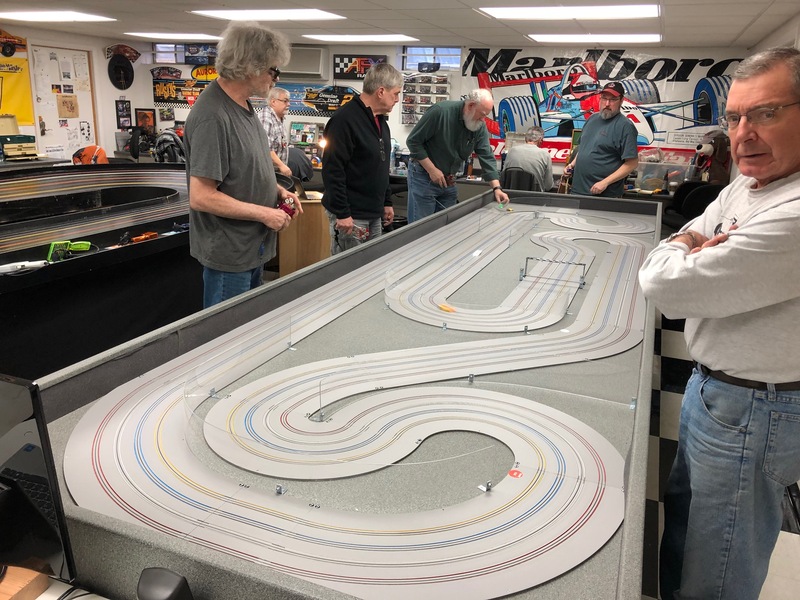 MARC - May 11, 2019 - We’ll be at Peter Lentros’ LenJet Raceway on May 11th where we’ll all be racing Spec Racers for the first race followed by Modifieds for the Sportsman and Neo Cars for the Pros. Other HO Racing – Check out the Links Page for schedule for Tri-State H.O. Racing Club, East Coast Outlaws, and Mid-Atlantic HOPRA’s racing schedules.